A charming addition for any budding builder's bedroom, the JCB Desk & Chair offers the younger members of the family with a stable space for them to read or draw. 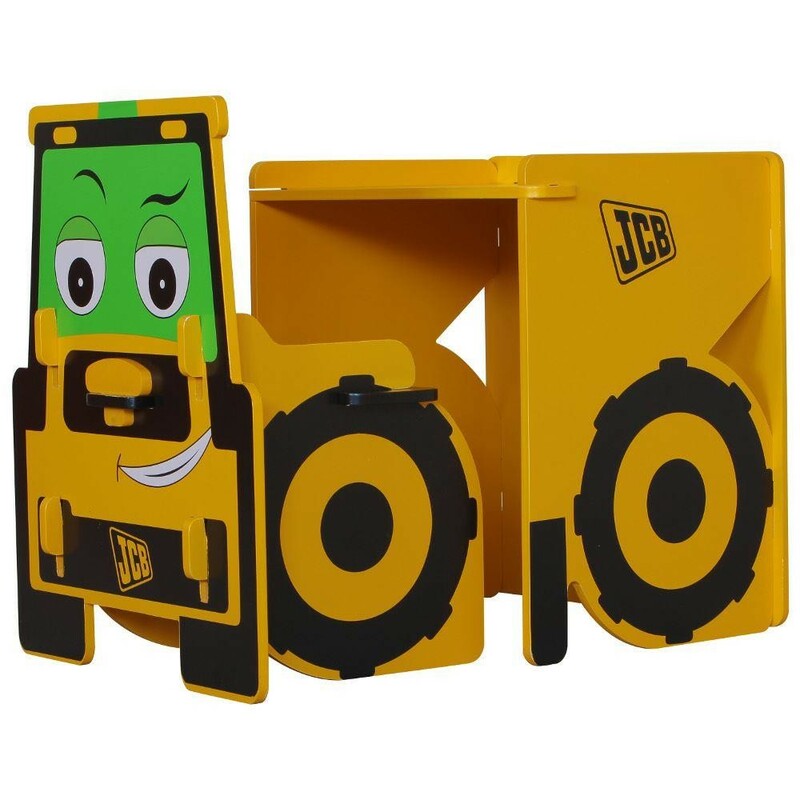 While they play with the JCB Desk & Chair the kids are sure to adore the JCB character 'Doug the Dump Truck', whose image makes up the chair. Much like the rest of the JCB and JCB Muddy Friends collections, the JCB Desk & Chair is brightly coloured and instantly eye-catching. Clad in a vibrant yellow that contrasted with the green windshield of 'Doug the Dump Truck' and the black of the 'tyres', these tyres help add to the overall aesthetic of a dump truck. Built to last for as many years as the kids could want it, the JCB Desk & Chair simply needs to be slotted together in a style not unlike a jigsaw. This simple construction process makes it easy to quickly adapt the JCB Desk & Chair into a child's bedroom. The JCB Yellow Desk and Chair is part of the JCB Yellow Children's Wooden Bedroom Furniture Collection.